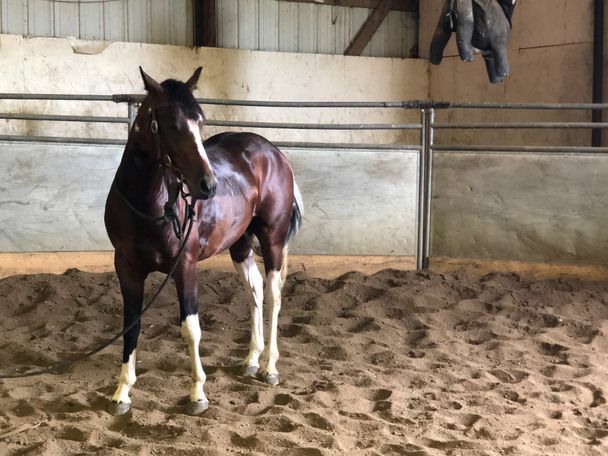 Dually is a beautifully marked 3yo paint gelding that stands 15.1 crurrently. 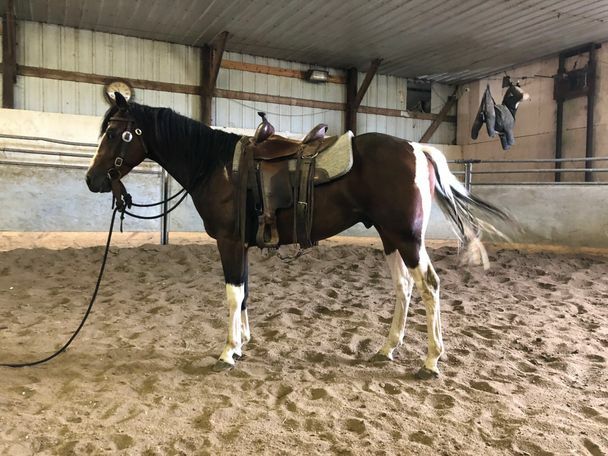 He is startednunder saddle with approximately 120 days riding and is ready for a job. He has the breeding to go any direction. 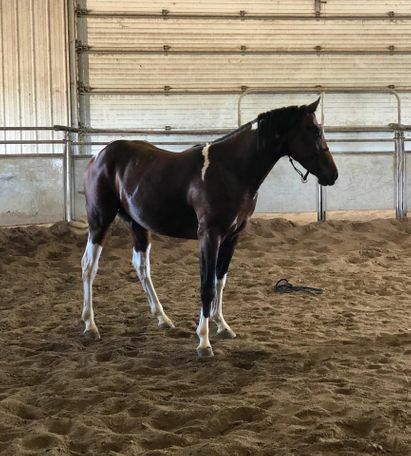 He would excel in the arena as a sorting, penning, barrel and pole horse or even roping. 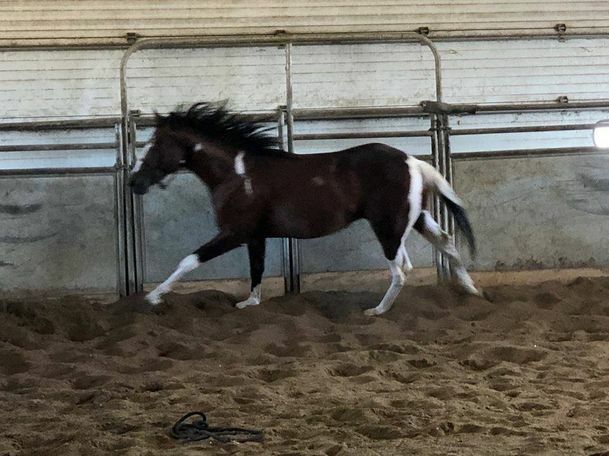 He is quick on his feet, stops and backs. He is still young so he may stare at new things until he figures out it’s not going to hurt him but he learns quick and will move on. He can turn on a dime and is very sweet. His pedigree goes back to High Briw Cat and Peotoboonsmal so he will excel at whatever you throw at him with proper training. He has the brains and attitude to go far with someone. I’ve just had shoulder surgery so I can’t give him the time he needs for the next 5 months.